A hand threaded loom. This machine takes one whole day to set up. We were lucky enough to tag along with Dave to visit one of our NZ based suppliers yesterday afternoon. We had a quick, and very interesting tour of the factory, and wanted to share some of our photos with you. 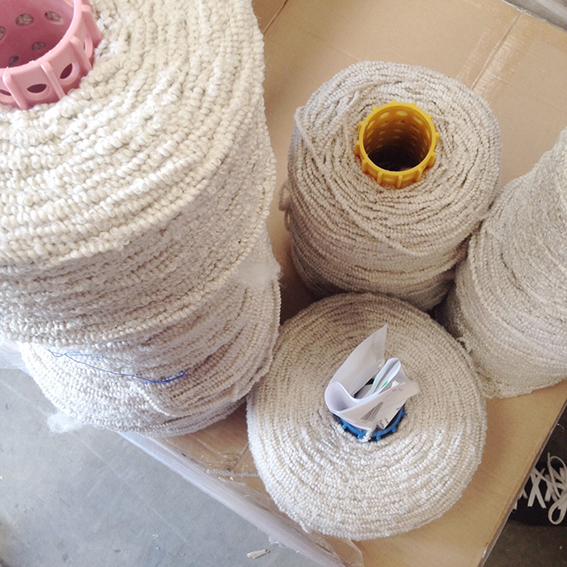 This visit gave us a great insight into the processes of making and finishing a roll of fabric. There are some very talented and patient people out there making sure each metre of fabric is absolutely perfect.